Here's part two of the three part series that we first introduced earlier this month, detailing some of our more interesting successes in 2017. Last week we explained how we poked a hole in Minnesota's Ignition Interlock Program big enough for even Leroy Hoard to break loose. This week will continue comparing our 2017 with the 2017 Minnesota Vikings. This week's theme will hopefully hold up through the playoffs -- the theme of "hiding in plain sight." 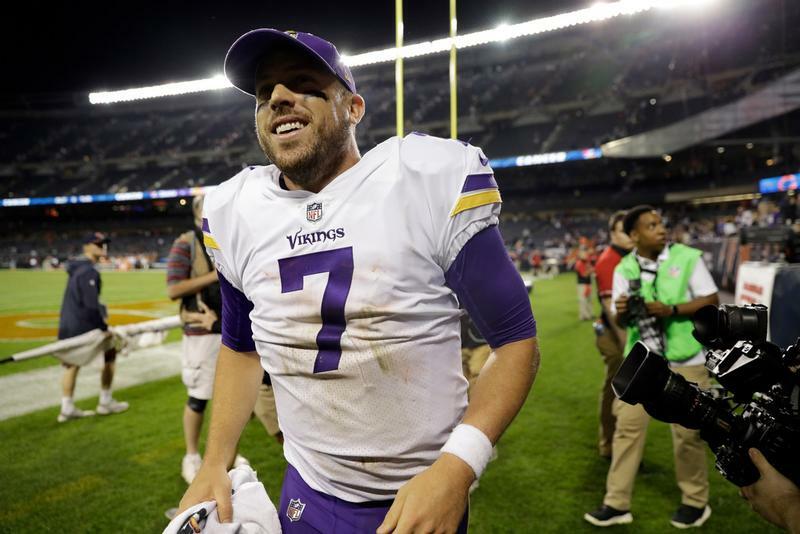 While Coach Zimmer might use other words to describe the Vikings current quarterback, Case Keenum, we'll just call him a diamond in the rough. Keenum has been in the league since 2012, but didn't really break out until this year, leading the Vikings on a white-hot winning streak that propelled us down the road towards the Super Bowl at U.S. Bank Stadium. Keep reading and watch us compare Keenum's 2017 season to our ability to get felony DWI charges outright dismissed! No, really: felony DWI, outright dismissed. But first, Keenum . . . who had been "hiding in plain sight" for half a decade. Any team in the league could have picked him up before the Vikings offered him a one-year contract back in March of this year. But the Vikings were the team that saw something other teams didn't, took advantage of it . . . and then reaped the benefits when Sam Bradford went down early in the season. Losing your first string quarterback (and your second string quarterback, and your first string running back, but we digress) should be a season-ending situation, but Keenum changed all of that. And all because the Vikings noticed something that was hiding in plain sight. Earlier this year, we also noticed something that had been hiding in plain sight, and for far longer than 6 years. It was an old statute, Minnesota's Felony DWI Law. It's not a long statute, and it's not particularly complex either, so nobody was looking at it too closely anymore. Until we looked at it closely, and found out that it doesn't actually say what everyone thinks it says. Here's the short version of this story: for decades, Minnesota has charged drivers with felony DWI (the most severe level of DWI, where you can actually go to prison) whenever they had already been previously convicted of a felony-level DWI. Basically, once you get convicted of felony-DWI, every DWI after that will also be a felony, whether it happens next year or 30 years down the road. At least, that's what everyone assumed . . .
. . . until we gave the statute a very close reading. What we puzzled out is that the statute doesn't actually allow the State to charge someone with a felony just because they were previously convicted of an earlier felony DWI. Instead, the statute only applies to prior felony MINNESOTA DWIs. If the earlier felony DWI came from another state (not Minnesota), the plain language of the statute actually prevents the State of Minnesota from charging the driver with a new felony DWI. The first time we raised this argument, the judge agreed, and outright dismissed the felony-DWI case. You can read the order here. Getting a felony DWI dismissed is always a difficult task, but setting up a roadmap to get every felony DWI dismissed in the right circumstances is like catching lightening in a bottle. The answer had been sitting there, in plain sight, for decades. But it's no coincidence that it was us that spotted the opportunity, and took advantage of it. When we win with this argument, we not only completely eliminate the chance of our client going to prison, we usually manage to force the State to return a forfeited vehicle as well. And while there may be some doubt about whether or not Keenum can keep this crazy streak of victories alive through the Super Bowl, we are confident that the only way we'll lose this argument is if the State changes the law. They end up having to do that a lot in response to our victories, something we're kind of proud of. SKOL.